Per Usual, Detroit MSM Newspapers Follow Schlussel Lead on Hezbollah High. . . Two Weeks Late; Angry Muslims Call for Boycott of Israel, Shutdown of Schlussel Site @ Dearborn School Bd. Mtg. Finally, The Detroit Newsistan and the Detroit Free Press (and FOX News) have caught on to news I broke over two weeks ago about the illegal and unconstitutional actions of the cousin of Hezbollah spiritual leader Sheikh Mohammed Hussein Fadallah, who runs America’s first majority Muslim, tax-funded public high school. 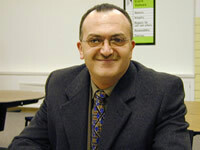 As you’ll recall, at that time, I broke several stories on Dearbornistan’s Fordson High School Principal Imad Fadlallah–how he hit a student (for the gazillionth time) and tried to intimidate the students family into keeping quiet, how he fixed grades to bring up his school’s “performance,” and how he fired a 35 year wrestling coach because the coach continued to allow Trey Hancock, a parent and Christian minister, to attend his son’s wrestling meets, as is his Constitutional right. Fordson is a public high school, and Muslims seem to think that since they comprise at least 90% of the students at the school, that they can run it like their own little Muslim caliphate. As I also wrote, Hancock was once a volunteer assistant wrestling coach at the school, but was unconstitutionally fired three years ago because the Muslim Hezbollah-supporting principal, Fadlallah, objected to Hancock’s real-life job as a Christian Minister, and because he had once converted a Muslim teen to Christianity, outside of the school (and before the kid was a student at Fordson). Hancock never proselytized at the school or in his capacity as an assistant wrestling coach. 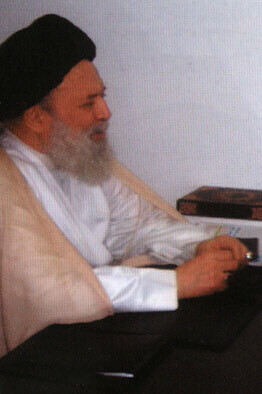 Yet, he was harassed by Fadlallah and continues to be, to this day. Because I wrote about Fadlallah and disclosed his illegal actions, he and the extremist Muslim groups in town–the Arab American PAC, run by Hezbollah agent Osama Siblani (whose brother works for Al-Manar) and the American Arab Anti-Discrimination Committee, run by “former” Islamic terrorist, FBI Award revokee, and marriage fraud perpetrator Imad Hamad–sent out e-mails urging their fellow extremists to show up at a Dearborn School Board meeting to support the firing of the current wrestling coach, because he allowed Hancock to attend his own son’s wrestling matches. And show up, they did, in a mob. And they got their in-house reporters, pan-Islamist Gregg Krupa of the Newsistan and Muslim Niraj Warikoo of the Free Press to cover it to their liking. Both copied a previous headline of a local Dearborn newspaper, screaming that “Parents Support Firing of Coach.” But it wasn’t mostly parents, it was a mob of Muslim activists responding to pan-Hezbollah AAPAC and ADC e-mails. The angry Muslim extremists–led by Hussein Berry–also called for a collection of money by the Dearborn School Board and parents to sue me and shut down this website. I’d previously written how the paunchy Mr. Berry attacked Trey Hancock for “violating church and state” separations because he posted pictures of his son and his son’s wrestling team on his site. That’s a “church and state violation”? Sorry, but real mosque-and-state violations go on at Fordson (and throughout the Dearborn School District) on a daily basis, including Fadlallah’s banning of a high school prom (because it’s immodest and un-Islamic). Another Muslim activist stood up and told the audience that “This is why we need to boycott Israel.” Yes, a Muslim principal whose cousin runs Hezbollah, hits a student, fixes grades, and persecutes Christians in violation of the law. And it’s all Israel’s fault. In violation of open meetings rules, the Dearborn School District turned off the microphone and the video feed, so no-one would know that their meetings are forums for calls of boycotts of Israel. Now, I’m told FOX News–whose midwest bureau chief reads my site and openly told me at a breakfast that he’d steal my stories unless I gave them to him–also called him. Regardless, it’s funny how I break a story, generate huge Muslim mob thuggery at School Board meetings, and suddenly the pan-Islamist sheeple at Detroit’s “mainstream” newspapers discover it way late. And won’t cover the calls for boycotts of Israel and shutting down my free speech in their stories. You hear it here first. And here, you get the full picture, not pan-Islamist filtering. *** UPDATE: In case you were wondering, Fordson hasn’t done too well under Fadlallah. According to Standard and Poor’s “School Matters,” schoolwide reading proficiency is only 51.6% and math proficiency is only 40.4%. Not to mention that the big news outlets started to print the story when there is less than one week left in the school year. The Internet may have its drawbacks but are some things you just won’t learn in your newspaper. I think the blog is the greatest invention since the printing press in the 15th century. The difference being its no long a small elite that gets to break the news but any one equipped with a laptop and an Internet connection. A lot of bloggers are attorneys and their thinking and analysis skills have served them well in the blogging world and they have run rings around MSM journalists too lazy to do their homework. That’s why sites like this are now the first place you can find the full truth about a story and not just the side of it the print press wants to feed you. They don’t that in journalism school. Debbie this is just shocking. It is hard to believe that this can go no in our country. Ban all muslim immigration before its too late!!! Debbie, right on. Its ridiculous how the guys in the MSM – to say nothing of the Sean Hannity and Michelle Malkins of the world – will happily steal from you and give you no credit whatsoever. Is there no shame? Now, I see that the McCain campaign (through their stooge MThomas Eisenstadt) is going after you for the keffiya story. Meghan should have known better, and certainly Cindy should have seen it coming. It’s one thing for the Muslim-loving left to take you on, but it must be especially frustrating to get hit from the so-called right. Debbie, you are a courageous fighter for truth and freedom. Keep up the great work! Don’t let the IslamiNazis and their Leftist allies get you down. I wouldn’t put Michelle Malkin in the same class with Hannity at all. Althugh she doesn’t have Debbie’s expertise re Muslim subversion here & elsewhere, she does have a lot of cutting edge articles & I have seen a number of instances where she has given Debbie credit & link-ups for stories she has run. That guy from Fox should be careful; these things have a way of catching up with people; if he is trying to plagiarize from you, he is probably doing it with other people, and more & more because of the internet, creeps like this are getting caught & disgraced. Debbie, your 10 word intoductory description of Imad Hamad is classic. You have a real gift. You have nothing on Muslims so, when something stupid like this happens, all of a sudden we are terrorists and “extremists”. And yes, this is probably only in America because no one here is willing to accept that if one person does something, it doesn’t represent the whole population. The parents of the wrestlers wanted him to get fired in fear of their children losing their faith. You would do the same FOR SURE. Don’t deny it. And the blogger is so pathetic for posting this story and then trying to turn people against Islam. You should try understanding it, you’ll come to learn that everything u have believed was a lie. We are the victims. Jews and Christians are trying to kill us. Its in the Jewish religion for them to kill Arabs. i Don’t know why but that’s just how it is. and Islam is amazing…that’s just how it is. IslamNazi <<< wow how lame. I was reading your post on Debbie’s blog. If you are up to it, I would be willing to correspond with you. I wonder if you have studied the Bible? I have studied the Koran. Where you get that Jews and Christians are out to kill Muslims shows your ignorance of the Bible. In the Last Supper, the final night Jesus would spend on this earth, don’t you think He would spend that time teaching his disciples what was the most important lesson to Him. He did. That lesson was on love. No where in the Bible are we taught that if we die as a Martyr, killing innocent people we will be assured a place in Heaven and 72 virgins. It seems to me you are a little confused about Christianity. I challenge you to get a Bible and read it. Afraid to? If you are strong enough in your faith what can it hurt?